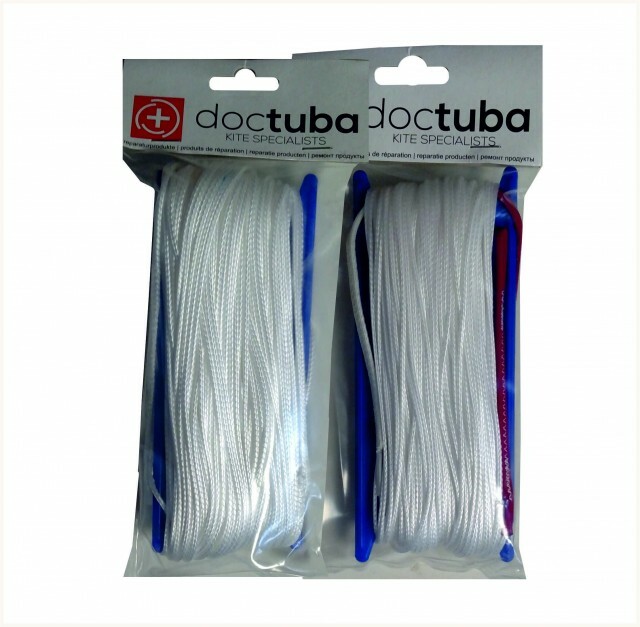 Kitemare-Surf & Kite Shop / SPARE PARTS / Slingshot Parts / (32) Dr Tuba Flying Line Set. Slingshot Kites. 27m. Slingshot Kites have some of the best flying lines on the market and take a long time to wear out. 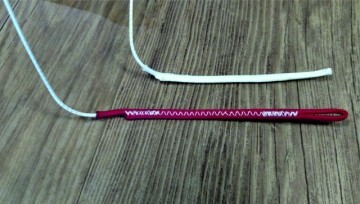 When they do they are very expensive to replace and hard to get hold of. 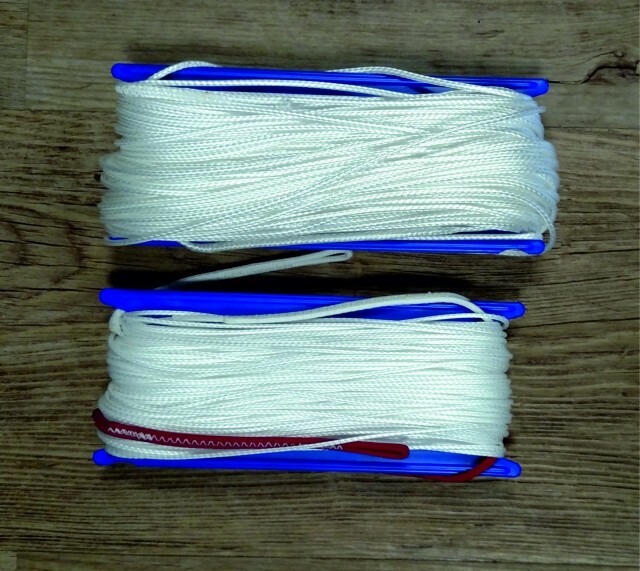 We stock the flying lines manufactured by Dr Tuba for the Slingshot kites. Made from similar lines with a breaking strain of 510kg front lines and 310kg steering lines. Made as direct replacements as with the Slingshot bars, the steering lines and power lines are sightly different lengths. 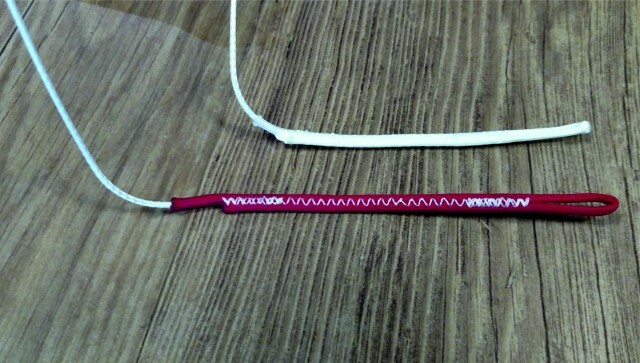 If your lines are damaged, excessively worn or stretched replace them. Fairly easy to replace. The pack contains- 2 x steering lines plus 2 x flying lines 27m long for the 23" bar so you can replace the full set.